I don’t know about you but I get a sudden nesting urge in December. No, I’m not pregnant. Ok, maybe nesting isn’t the right word… maybe anxiety/panic better describes the situation. It’s the end of the year. There’s s h i t everywhere! Seriously, a whole year of crap has suddenly snuck up on me and now I’m in Christmas count down panic mode knowing that in just a few weeks time, my house is going to be full of decorations, presents and people! So, this year I have decided to start my “Christmas to do” list early, and I’m not just talking about the gift buying… I’m talking about getting the house in order so that I can actually enjoy December! Enjoy the festive season without stressing about mess and clutter. Trust me, if you can complete the next 6 jobs over the next 3 weeks (that’s only 2 a week which can easily be achieved once the kids are in bed if you have no time during the day) then you will feel totally cleansed and awesome come Christmas day! Let’s start with the smallest and easiest job of them all. Clean the microwave. Fill a microwave safe bowl with water, add some lemon juice and microwave on high for 3-4 mins. Once the microwave is steamy from the water, remove the bowl and add a tablespoon of bi-carb soda to the water (frothy fun!) dip your cloth and wipe over the inside and outside of the microwave with a cloth (microfibre works well). Rinse the cloth under fresh water and give another all over wipe to remove the bi-carb residue. Voila! Fresh feelings come at you! This one is actually super easy. 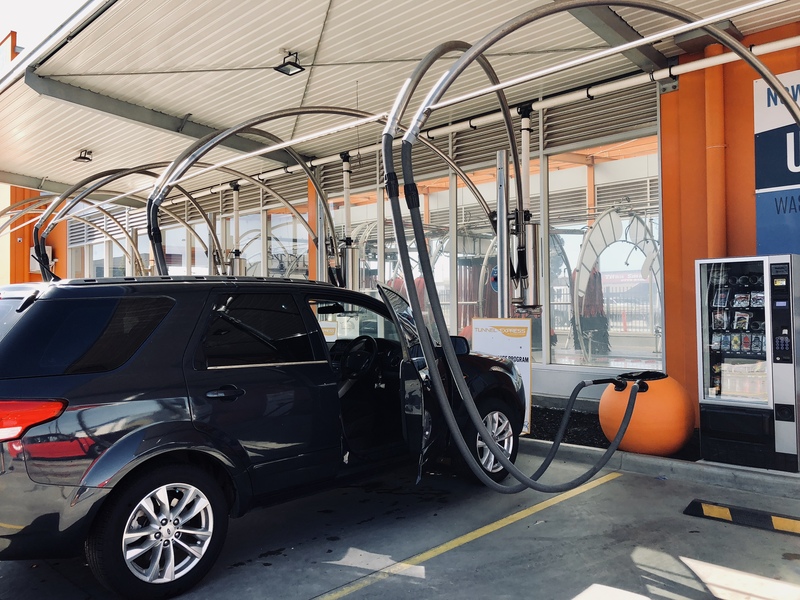 Drive to Maccas, grab yourself a coffee through the drive-thru then drive to one of those sit in your car, car wash places, turn the radio up and….relax for 5 mins! Vacumme and clean out the car there too. Pack an empty washing basket to chuck all the things you want to “keep” , kids toys, books etc… then bin everything else before you vacumme. Better still, park at one of those car washing places at the shopping centre and treat yourself to a full wash and detail while you shop! Or – Park your car on the lawn and get the kids to wash it! I always do option 1! A really really annoying job that I actually had someone do for me recently because I just couldn’t face it myself. Again, get everything out and pop on the kitchen floor, wipe out the cupboard/draw then let the game of match the lid to the container begin! Can’t find a matching lid to fit a container? Bin/recycle it. This job was so cleansing for me, I was soooo sick of not being able to find a container with a lid! My draw has reduced by half (it actually closes now!) and I’ll top up with some new containers when required. Sorry, this is a big one. But trust me, you will feel so much better afterwards! Throw everything on the floor, everything! Wipe the shelves down. 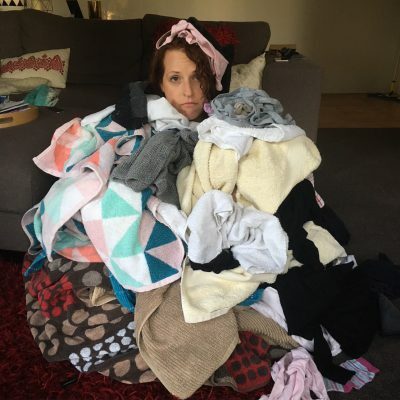 Bag all the doona covers that you have not put on your bed for the last 6 months and donate to charity. Bin (or cut to use as rags) anything that is stained/broken/festy. Fold all matching fitted sheets, bed sheets and pillow cases together and place into one of the pillow cases. Stack all the kids doona covers on one shelf and all of the Queen/King size on another. Straighten your towels, roll or fold. Give the closest a good spray with nice smelly linen spray stuff. Mmmm… Fresh! Daunting but easy once you get going. Pop some music on and try on everything! Tops, dresses, shorts, jeans… Doesn’t fit – op shop! Don’t hold onto it in the hope you will lose 10kg in the next few months! Be brutal! It feels amazing! If you haven’t worn something for a long time then why do you still have it?! Be ruthless! 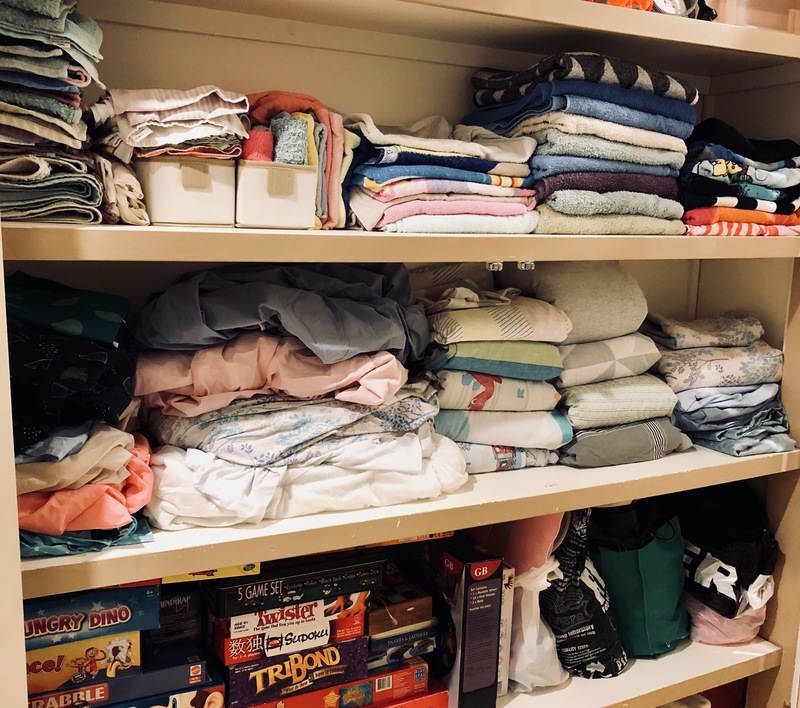 Also sort all your shoes and any junk that’s in the wardrobe, bags, suitcases etc… If you are feeling extra motivated once you have finished your own wardrobe, move onto the kids! Any money there is clothes in there that do not fit them anymore! Do a big cleanse and see what they need! Maybe suggest certain clothes to people if they ask what they can buy your kids for Christmas? Another big one but again, this is a MUST before Christmas. 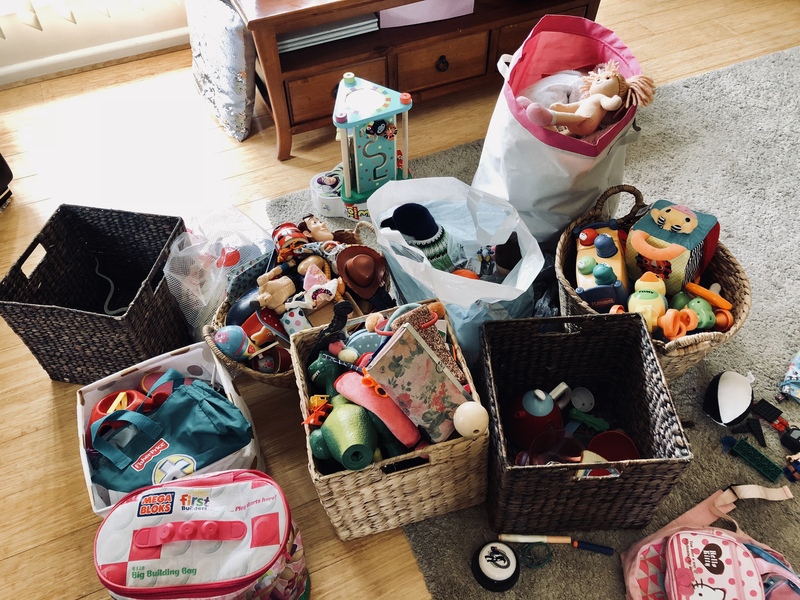 This job actually took me 3 days (on and off) Every single draw/box/shelf/container that contained toys was tipped onto the lounge room rug and sorted. Broken – chuck away. Not played with anymore – Op shop. Not working – change batteries. I then sorted back into baskets so that they made sense! Plastic food in one, puzzles in another, cars, lego, barbies etc… Completing this job was life changing! I got rid of so much junk and donated heaps to charity! Ok, I said 6 jobs but if you have time and or the motivation then attack the dreaded kitchen pile. You know the one, the papers and crap that have accumulated into a huge pile that stares at you every time you walk into the kitchen… I actually have no advice on how to do this seeming I recently just covered mine up with a tea towel until my husband couldn’t stand it any longer and ended up cleaning it for me (oh the shame!) so all I can say for this one is…. Good luck! 3 week challenge guys! Ready, steady, go!